Coming from Suq al-Wadi, at one point it is inevitable that your eyes are drawn towards Dar al Hajar. 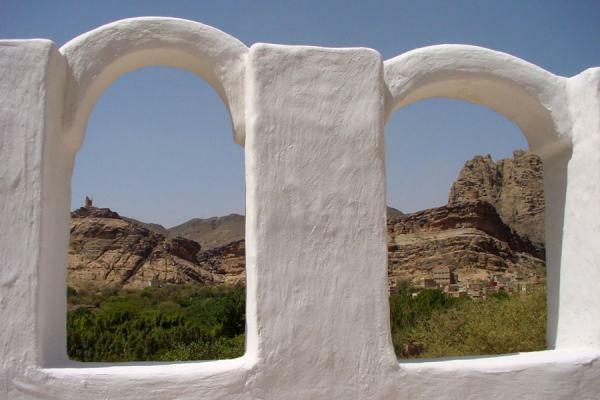 While the wadi is an oasis of green and quiet not far from the capital San'a, the Rock Palace is its jewel, visible from many corners of the wadi. The closer you get, the higher it seems to become, until you reach the bottom and you have to put your head between your shoulders to be able to look up and admire the building. 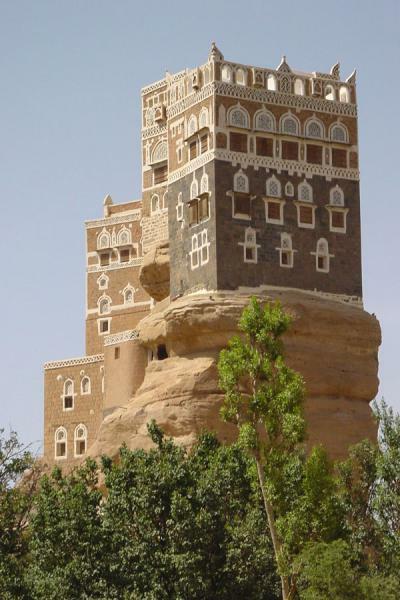 What makes the building so attractive is perhaps because it is exemplary of Yemeni architecture, it seems to grow out of the rocks on which it is constructed, and it has the characteristic painting of its windows and edges. Furthermore, it is standing all alone and can be seen from all sides. Buying a ticket will grant you access to the palace. Walking up the many stairs brings you to various rooms: the kitchen, storage rooms, rooms for women, meeting rooms for high placed persons and friends of Imam Yahya who built the palace as a summer residence in the 1930s. There is a system to cool water in earthware jars, you can see takhrim windows from up close, there is a very deep well, and there are various spots where you can go outside. The views are marvellous as can be expected from such a daringly built palace. 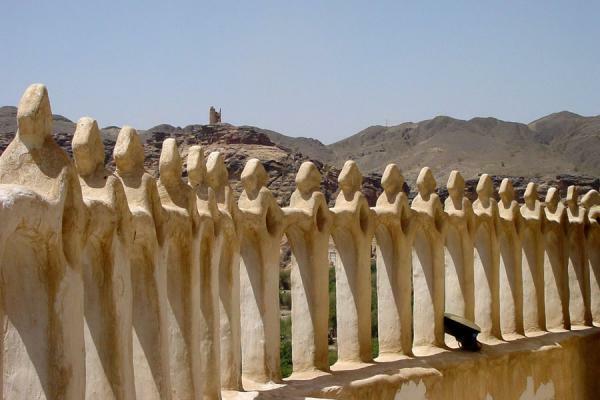 The palace was restored for visitors, but it was not turned into a museum. Its five floors offer enough to see. 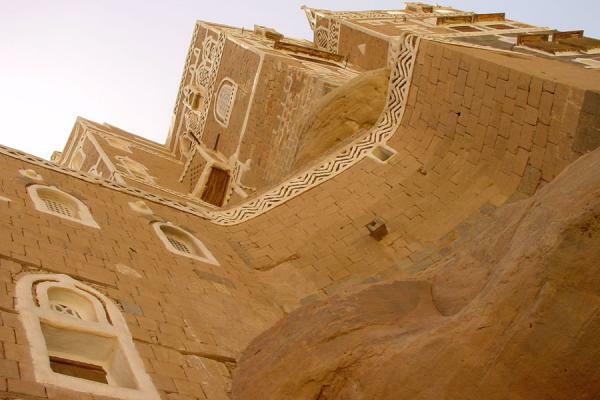 Walking around at its base is equally impressive and heightens your admiration for the stunning architecture the Yemenis are capable of. 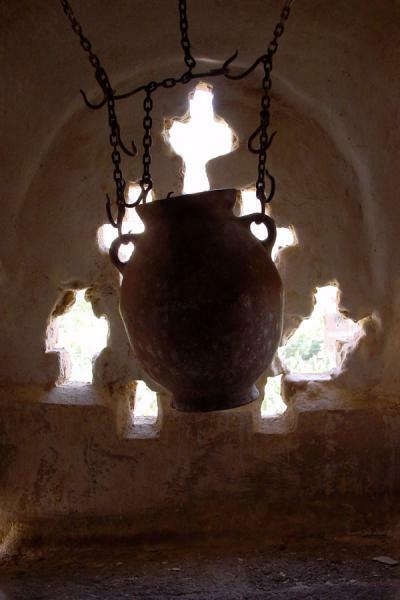 Personal travel impressions both in words and images from Dar Al Hajar (). Clicking on the pictures enlarges them and enables you to send the picture as a free e-card or download it for personal use, for instance, on your weblog. Or click on the map above to visit more places close to Dar Al Hajar.